Eventing is best described as an equestrian triathlon. The sport originated as a cavalry test and is comprised of three phases: dressage, cross-country and show jumping. Eventing tests horse and rider pairs more completely than any other. Dressage is the fundamental training of the sport on which the other two phases are built as it develops the strength and balance for the rigors of cross-country and the preciseness of show jumping. Dressage showcases the ultimate partnership as the rider uses his or her seat, legs and hands, which are known as the "aids" to communicate silently, making the test look like a seamless performance. 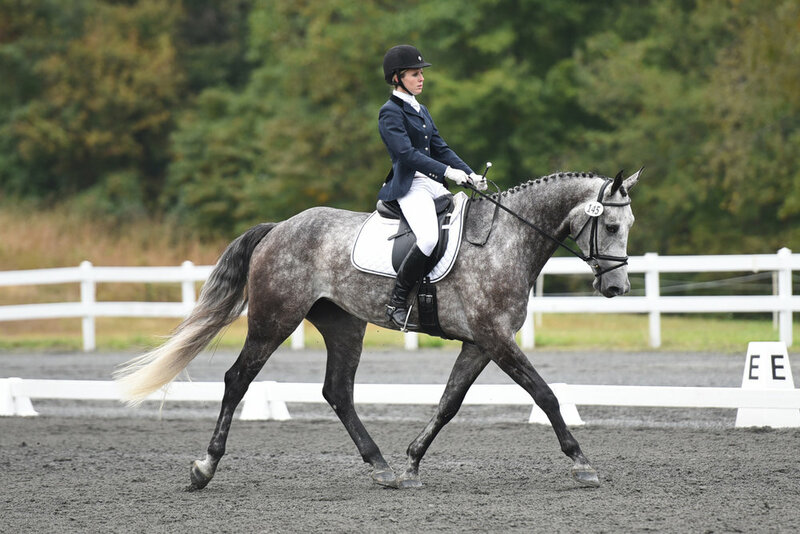 The dressage phase can prove challenging for an event horse as they are supremely fit. The most tactful riders can harness and direct that energy into a polished and powerful performance. Each movement is scored on a scale of 0 to 10 with 0 being the lowest and 10 being the best. The sum of these scores are combined with the overall collective marks, gaits, impulsion submission and rider, for a total score. That score is then subtracted by the number of total possible points, multiplied by 100 and then finally subtracted by 100. The resulting score are penalty points, or the points that the pair were not able to earn in the dressage phase. Penalty points carry onto the next round, and remember, lowest score wins! The cross-country phase typically takes place on the second day of competition, but always after the dressage phase. Cross-country is the cornerstone of eventing, and proves the speed, endurance and jumping ability of the horse over varied terrain and solid obstacles. Carrying forward their penalty points from the dressage phase as their score, riders want to finish with the fewest penalties possible by jumping every fence on the first effort and finishing the course within the prescribed time limit, which is known as optimum time. Cross-country features solid fences (15-25 for lower levels and 30-40 for upper levels) as well as natural obstacles such as water, ditches, drops and banks. The phase is ridden at a gallop with exact speed requirements varied depending on the level of competition. Horses and riders must be at peak physical condition to successfully complete the cross-country phase. Riders condition their equine partners for months in order to reach the fitness required for this ultimate test. Horses must be bold and brave, while riders must carefully control pace in order to not only finish the course in time, but also without expending too much of the horse's energy. Mistakes on cross-country are costly to a rider's final score. If a horse stops at a fence, known as a refusal, or runs past a jump, known as a run-out, the pair earns 20 penalty points. A second refusal or run-out at the same obstacle is an additional 40 points, and a third results in elimination. Penalty points are also earned for every additional second over optimum time. Like the cross-country phase, scoring is objectively based on a horse's ability to clear each fence on course, though unlike cross-country, the lightweight show jumps fall easily. Knocking a rail, having a refusal or a run-out results in four penalty points. The show jumping round also has a time limit, and every second above that time accumulates more points. Riders carry their penalty points earned in the dressage phase as well as any time or jump penalties accrued on the cross-country course into the final phase. This show jumping finale can be a very exciting and heartbreaking experience for spectators as one single rail down could change the final standings dramatically. The horse and rider combination with the lowest score at the end of the competition will take home the blue ribbon. 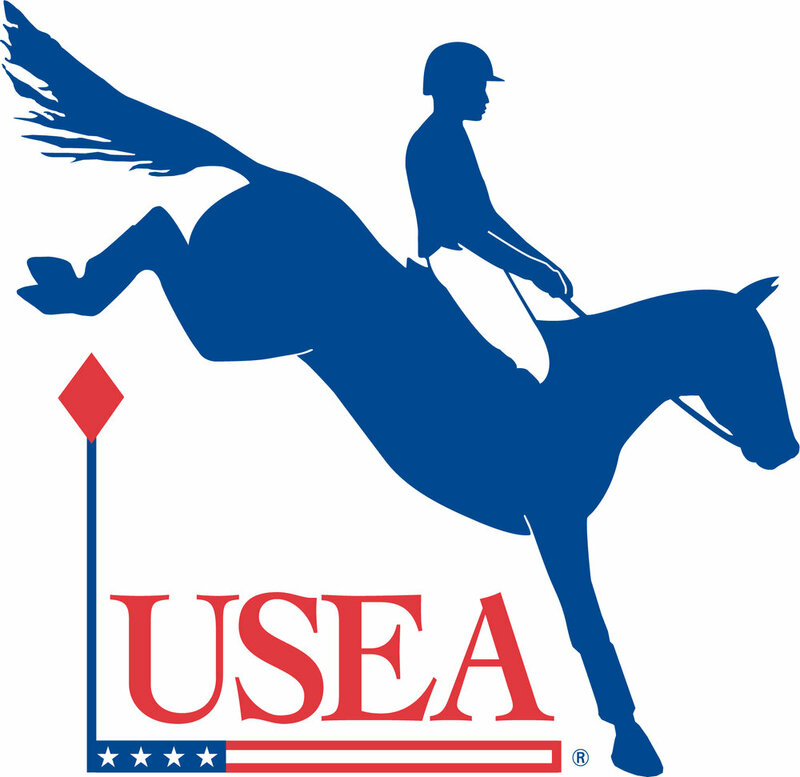 The United States Eventing Association (USEA) is the national organization dedicated to the education and development of horses and riders in the sport of eventing. Formerly the United States Combined Training Association (USCTA), the USEA has over 12,000 members in all 50 states as well as over 250 national recognized competitions nearly year round. The USEA is an affiliate discipline of the United States Equestrian Federation (USEF), which creates and enforces rules for national competition. The USEA is a non-profit 501 C (3) corporation run by a 20-member Board of Governors as well as a small full time staff at the headquarters in Leesburg, Virginia.